Hawaii is unique in its isolation in the middle of the Pacific Ocean. Over 85% of our food comes from at least thousands of miles away. While most of our grandparents or great grandparents were growing food in connection with the land, there has been a break in the multigenerational mentorship that taught us all to provide for the basic needs of our existence. This disconnect has resulted in the health of our land, watersheds, social and family structures being compromised. We believe that by reconnecting individuals to the natural cycles of life and the ways the planet directly provides for our sustenance that we can foster a culture that cares more for our planet and the life that inhabits it. Pono Grown offers a unique synergy of a production farm and community center. 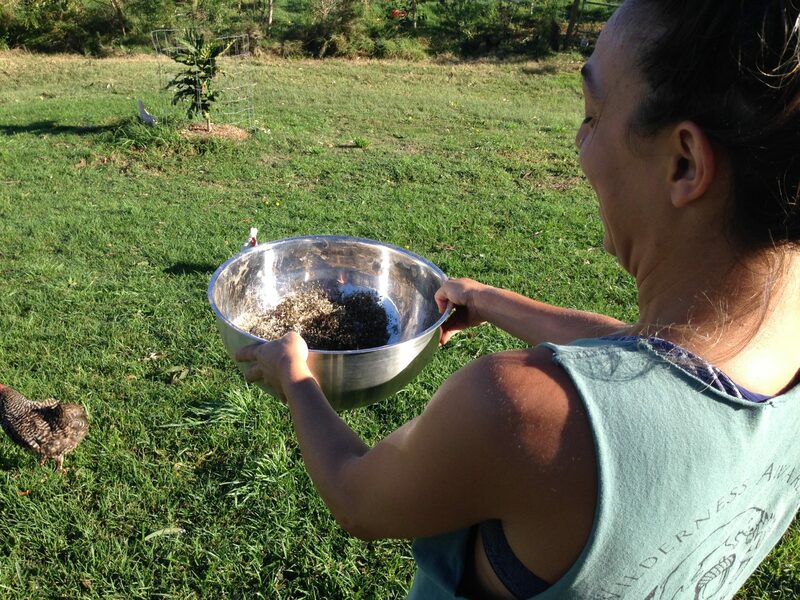 Maui has long needed a center that can support in educating the community in connection with the aina. 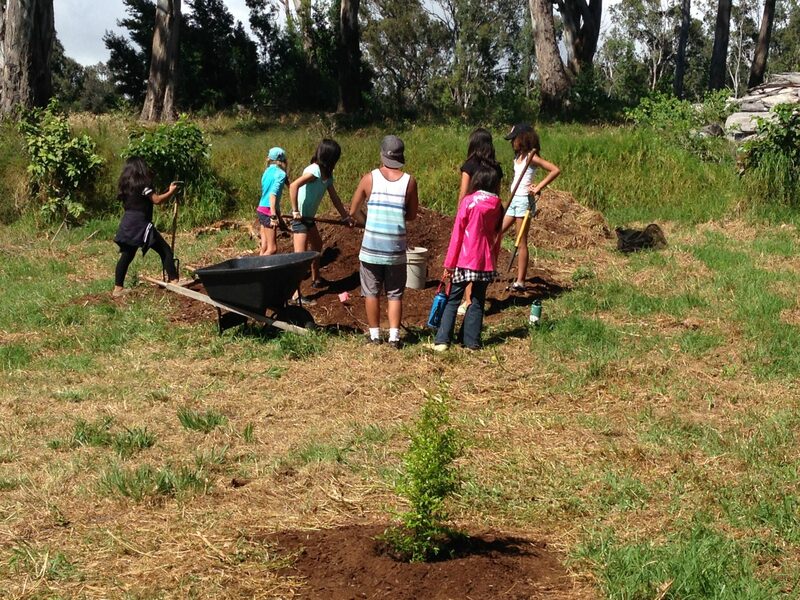 Pono Grown Farm Center seeks to bridge the generational disconnect by inviting our island community to learn and grow together. 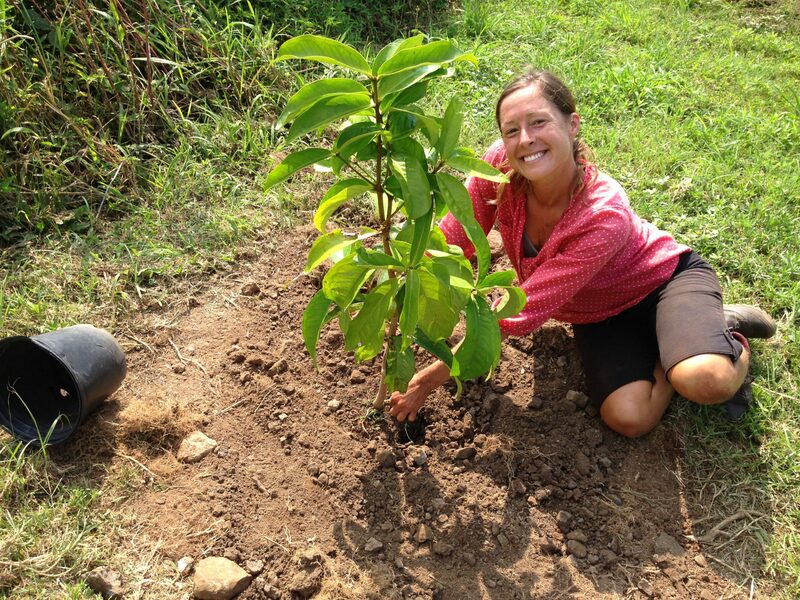 In December 2010 Pono Grown Farm Center began discussions with the land owner of our 15 acres site in Makawao. After 2 years of designing the land and project and finalizing our agreements with the land owner, in December 2012 we broke ground on the project. The past few years have been full with building infrastructure, setting up water systems, solar electric, living and farm buildings and getting plants and trees ready in the nursery. In 2015 we began planting the farm and currently have over 4 acres of trees planted, including a 2 acre food forest, and we have just begun planting our first round of vegetables. In addition to plant life we are home to over 10 bee hives for honey and pollination and have egg laying chickens taking care of our apple orchard. So far we have hosted hundreds of people on the land for educational workshops, community gatherings, nature connection programs, internships, and volunteer days. We look forward to continuing to host even more as our infrastructure improves in the coming years. We are grateful for the support of the project donors, foundations, and thousands of hours of volunteer work that have supported our growth. Every day we are growing the land, the mission of the project and ourselves in a right way — Pono Grown!